In the context of sustainability, the term equity has to do with fairness – whether all people have similar rights and opportunities, basic needs to maintain an acceptable quality of life. 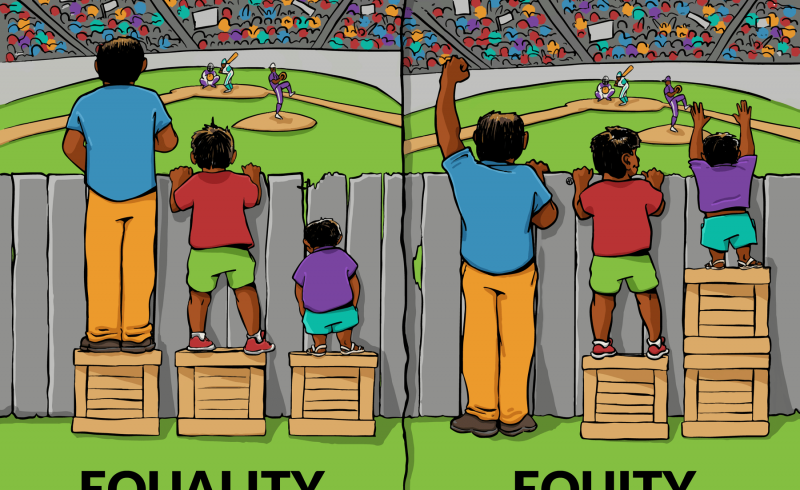 Equity, in this context, refers to the idea that all people throughout a community, whether a village, town, city, country or the entire world, have these same basic needs that must be taken into consideration. This concept is often referred to as intra-generational equity, meaning equity among the present population. Equity is not just relevant to all people alive today. Inter-generational equity is concerned with fairness between current and future generations. This means striking a reasonable balance between satisfying our needs now and setting aside enough to provide for needs of our children and grandchildren in the future.